The Incal, written by Alexandro Jodorowsky and drawn by legendary comic book artist Moebius, is considered a classic science fiction comic which inspired a lot of comic book artists and filmmakers. Jodorowsky and Moebius present us with a complex universe and narrative that isn’t easily explained in a couple of sentences. 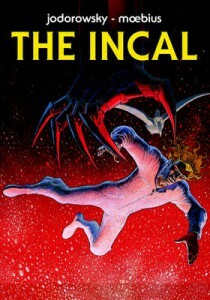 On the surface The Incal is a sci-fi adventure in which low class private detective John Difool is the main character. When a great darkness threatens the existence of the galaxy, Difool races through the cosmos with his sidekick Deepo, a concrete bird, and a band of characters such as the great warrior Metabaron, on a quest to face the ultimate evil. The Incal guides and protects them. It is described as pure consciousness, a direct emanation of the divine will. Moebius is the pseudonym of French comic book artist Jean Giraud (1938 –2012). 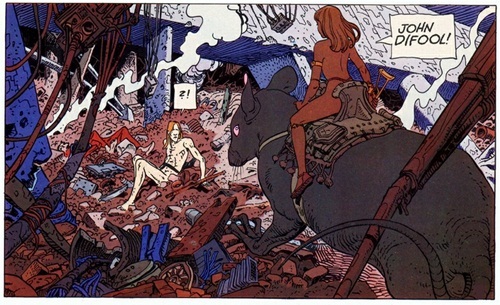 Giraud is best known for the western-series Blueberry, which he created with writer Jean-Michel Charlier. Drawn in a very naturalistic style, the cowboy Blueberry is known as one of the first anti-heroes of western comics. 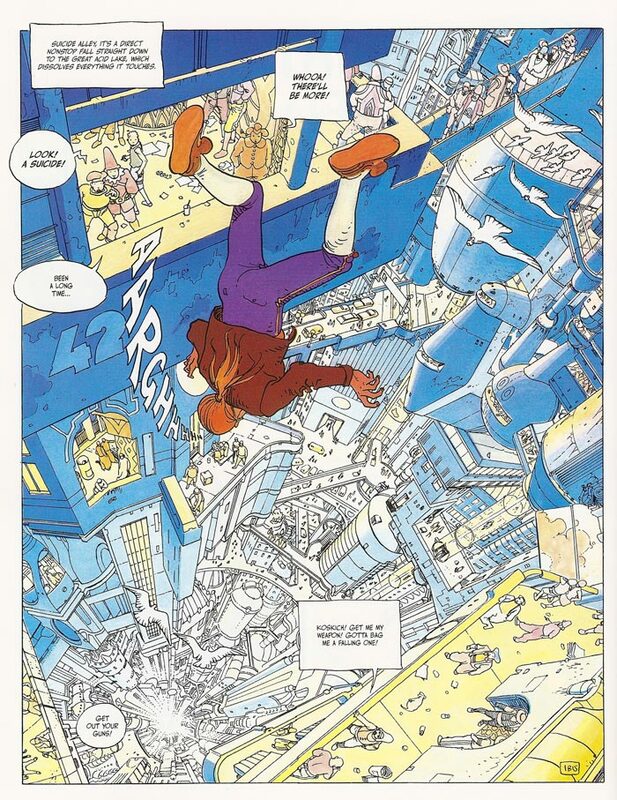 As Moebius, Giraud made unconventional and surrealist science fiction comics, such as Arzach and The Incal which feature a limitless inventiveness, bright colours and a great sense of humour and sense of perspective. At the end of the seventies Jodorowski and Moebius worked on a film adaptation of Frank Herbert’s Dune. When the project got cancelled, they put all their ideas in a new comic-serial that became The Incal. The Chilean Jodorowski chose detective John Difool as the main character. Difool is very much an anti-hero: not the brightest of the bunch, certainly not the bravest. Most of the time he’s the one trying to avoid adventure instead of jumping in headfirst. Interestingly, every major character in The Incal is based upon Tarot cards. Obviously Difool is based on ‘the fool’, his name being a nice pun pointing out his origin. The fast-paced storyline takes Difool from one great mission to the next and is sometimes hard to follow during the first read. The writer and artist treat us to new surprises and inventions on almost every page and present the complex story-world, filled with extraordinary concepts and creatures, in a self-evident manner. Sometimes The Incal leans towards science fiction satire, for instance when our heroes have to infiltrate ‘The War Star’, a massive military complex in which their enemies hide out, an obvious nod to the Death Star in Star Wars. However esoteric and unparalleled the narrative might be, Moebius’s beautiful artwork is always a pleasure to look at and works as a guide through this fast and complex story-world. Basically The Incal isn’t simply a comic book, as a reading experience it’s best qualified as a psychedelic roller coaster ride. This beautiful edition from Self Made Hero collects six volumes and stays faithful to the colouring used in the original publication of the series. It includes the extra story ‘In the heart of the impregnable Metabunker’. Comic book writer Brian Michael Bendis provides the foreword. 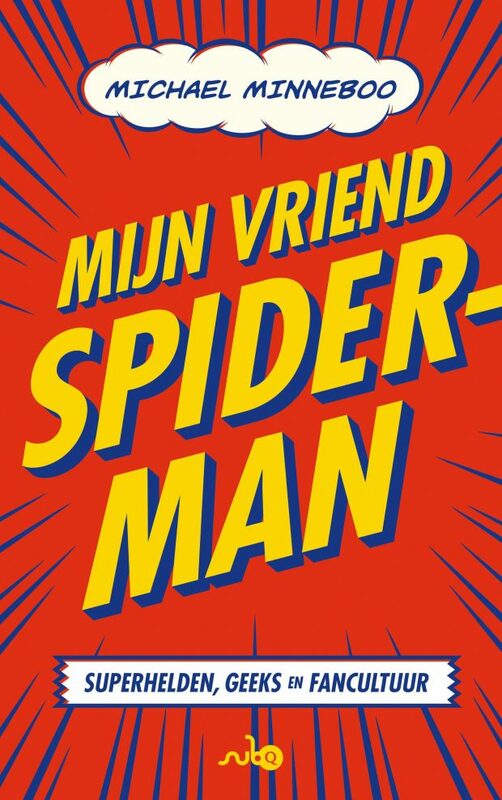 Deze recensie is gepubliceerd op het blog van The American Book Center. 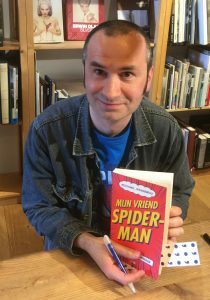 The Incal is ook in het Nederlands gepubliceerd door Oog & Blik.